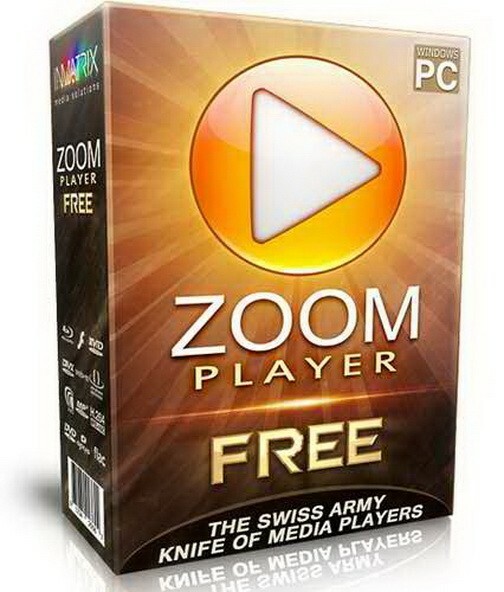 Zoom Player 14.50 Beta 2 - Лучший мультимедийный плейер, поддерживающий большинство форматов. Поддерживает плей-листы, управление горячими клавишами, полноэкранный режим работы, масштабирование широкоэкранного видео для удаления полос снизу и сверху экрана, несколько видов интерфейса и его изменение с помощью скинов. Уникальная особенность - специальная функция изменения масштаба изображения, позволяющая устранить overscan (искажения на границе экрана), причем допускается использовать ее как в режиме реального времени, так и использовать предустановки. Из дополнительных опций - конфигурируемый экран, расширенный контроль с помощью мыши, аудио фильтры, эквалайзер и другое. Поддерживает все функции Windows Media Player, но расширяет возможности. Имеется функция корректировки цвета. Можно использовать быстрый просмотр видео. Отлично заточен под просмотр DVD. Имеет огромное количество настроек, полностью настраиваемый интерфейс, скины, фильтры и так далее. • The playlist editor (when using the default Onyx skin or the bundled Alba skin) now draws alternating line highlights making the playlist easier to track visually. • The playlist editor's right-click menu now features Colorize actions that let you easily color-code track(s) text and background colors. The color information is automatically saved and restored when using Zoom Player's default ZPL format playlists. • New "PlayListData/Background2" skin script parameter that specifies the alternating playlist editor line highlight color. • New Setting (Adv. Options / Playback) that automatically tries to use the YouTube IFRAME player if DirectShow playback of a YouTube stream fails. • The advanced playlist control (accessible through the playlist editor or by pressing "J") now show the number of items remaining in the playlist as the search filters down the list. • The advanced playlist control's filter search was searching the entire playlist on each letter pressed, this caused a sluggish user experience when dealing with very larger playlists (over 30,000 entries). • Using the "Stop" function while a media was loading combined with a non-default setting that closes the playing media when using the "Stop" function and when display a JPEG/PNG image could cause the image to remain on screen. • Double-clicking an entry on the skin selection dialog could sometimes trigger an access violation error. • When opening the playlist editor, under some conditions the bottom entries would not show up until the playlist screen was refreshed by a click or scroll. • The "&" character wasn't showing up in the playlist editor. • Pressing under the last item in the playlist editor did not visually select the last item in the list. Then if you pressed the "Enter" key, it would start playing the last item in the playlist which was a bit confusing without the visual cue of a selected entry. • Fixed a crash when trying to play a video file with too many external audio tracks. External audio tracks are now limited to a maxiumum of 10 tracks.